A woman has died following complications from B.reast enlargement surgery in the latest death linked to plastic surgery in Russia. Mum-of-two Galina Rakushina had said she wanted to surprise her husband Alexander by having the procedure at a clinic in Moscow. However, the 30-year-old slipped into a coma for more than a year and has now died 13 months after going for the operation. A criminal case has now been launched into her death by investigators probing the quality of anaesthetic and drugs used ahead of the surgery. Mrs Rakushina’s heart stopped soon after she was given anaesthetic last April, and although her heart restarted her brain was starved of oxygen ‘for too long’, Ren TV reported. The Russian Investigative Committee, which probes serious crime, has launched a criminal case into unsafe medical services by the unnamed clinic. A separate probe is investigating the deaths of four women who went for plastic surgery at MedLounge clinic. Reports in Russian media claim an ‘angel of death’ nurse who tampered with their medicine is to blame. After Natalia Orlova died following a facelift, her daughter Rada said she was told by three medics that her mother had been poisoned. 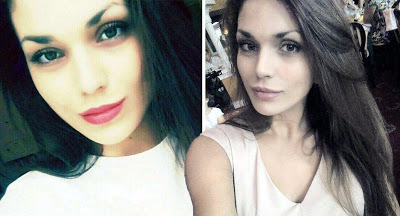 And beautician Marina Kushkova died shortly after having a nose job. Two other patients remain in intensive care following plastic surgery. 0 Response to "Breasts Enlargement Gone Bad! Mother Dies After Having Breast Enlargement To Surprise Her Husband"